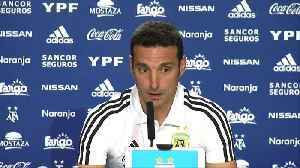 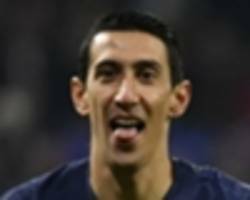 The 31-year-old had been called up to represent his country for the first time since the Albiceleste`s 4-3 defeat to France in the last 16 of last year`s World Cup in Russia, reports Efe news. 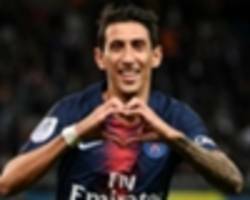 Angel Di Maria scored twice as Paris Saint-Germain eased to a 3-1 victory over Marseille on Sunday to extend their long unbeaten run against their arch rivals and move 20 points clear at the Ligue 1.. 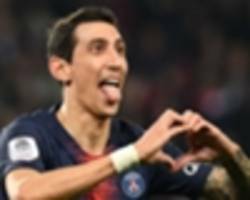 It's Classique day in Ligue 1 as the runaway leaders welcome their resurgent rivals to Parc des Princes - follow the action LIVE! 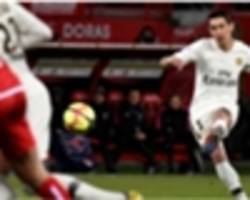 Dijon defender Fouad Chafik denied Di Maria a first-half hat-trick as he cleared the livewire forward`s shot off the line while Julio Tavares hit the post at the other end after a rare Dijon break. 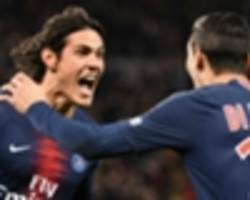 Paris Saint-Germain remain on course for a fifth Coupe de France title in a row after cruising to a 3-0 quarter-final win over Dijon. 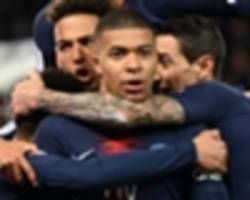 Angel Di Maria scored a sumptuous free-kick and Kylian Mbappe was also on target as Paris Saint-Germain (PSG) continued their relentless march towards another French title by hammering Montpellier 5-1.. 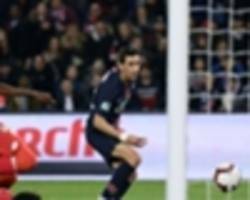 Both sides face charges that their fans threw objects during the last-16 tie, first leg, which PSG won 2-0. 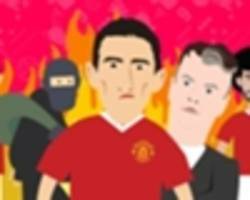 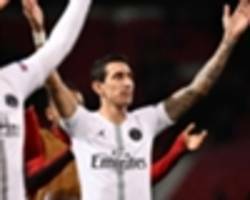 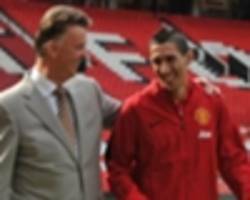 PSG's former United winger Angel di Maria was photographed holding a bottle that had been..
Paris St Germain forward Angel Di Maria was spurred on by the hostile crowd at Manchester United on Tuesday, the French club's manager Thomas Tuchel said. 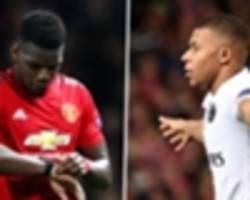 How did it all go so horribly wrong for the former British record transfer signing, who swapped Real Madrid for Old Trafford before leaving for PSG? 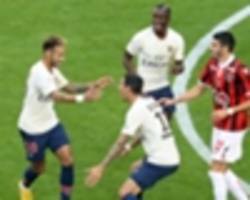 In the absence of the injured Neymar, Kylian Mbappe and Angel Di Maria also found the back of the net after Mbaye Niang had cancelled out Cavani`s early opener. 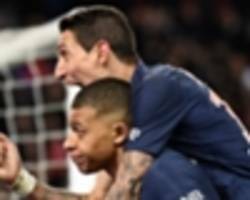 With attacking duo Neymar and Kylian Mbappe both sidelined after picking up knocks on international duty last week, PSG coach Thomas Tuchel started with Julian Draxler and Angel Di Maria up front in a..
Paris Saint-Germain's Angel Di Maria curled in a delightful stoppage-time equaliser to rescue a draw at home to Napoli. 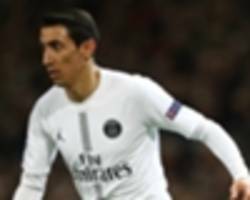 Napoli appeared on course for a Champions League win thanks to Dries Mertens' 77th-minute effort, but Angel Di Maria levelled late on. 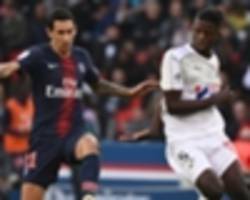 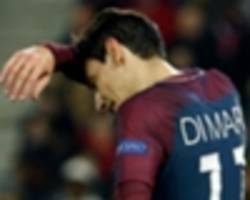 Marco Verratti and Angel Di Maria both came off in Paris Saint-Germain's 5-0 win over Amiens, yet Thomas Tuchel hopes they can face Napoli. 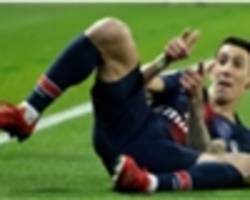 Neymar may have grabbed the headlines with a hat-trick as Paris Saint-Germain thrashed Red Star Belgrade in their midweek Champions League match, but Angel Di Maria is proving vital to the French..
PSG's victory kept them top of the French league on a maximum 18 points, five clear of second-placed Lille, after Angel Di Maria and Thomas Meunier cancelled out an early Adrian Rabiot own goal. 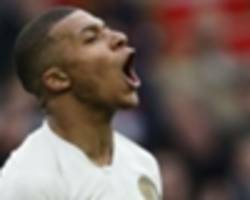 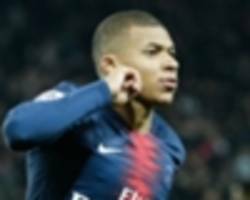 France forward Kylian Mbappe struck a second-half stunner before being sent off late on as champions Paris Saint-Germain (PSG) maintained their 100 per cent Ligue 1 record with a 4-2 victory at..
Paris Saint-Germain (PSG) began their Ligue 1 title defence in style with a comfortable 3-0 victory over Caen on Monday, with goals from Neymar, Adrien Rabiot and Timothy Weah. 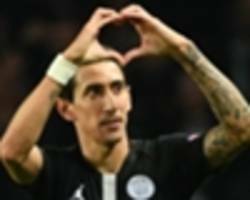 Brazil international..